TUNICA, Miss. 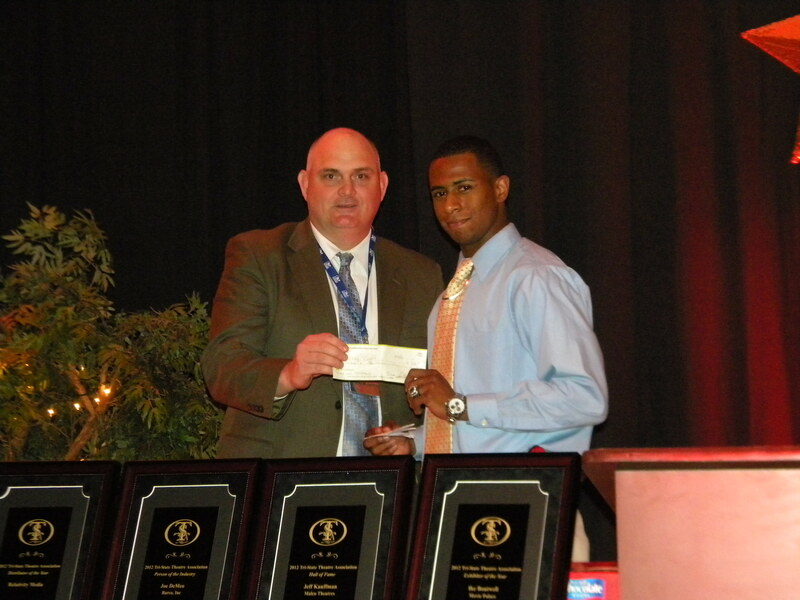 — Erving Craft, an employee at the Fiske Theatre in Oak Grove, La., was named one of two recipients of the Tri-State Independent Theatre Association’s David Lewis Memorial Scholarship at its annual convention which took place March 12-14 at the Gold Strike Casino in Tunica, Miss. Craft has been an employee of the Fiske Theatre since 2010 working for both the West Carroll Chamber of Commerce and has remained with the theatre since it began being operated by Holland Entertainment in June of 2011. Craft’s roles at the theatre include Box Office, Usher and Concessioneer. Craft is the second recipient of this award from the Fiske Theatre. Patrick Keller was the first recipient of it upon his graduation from Oak Grove High School in 2010. Erving is the son of Moses and the late Angela Craft of Oak Grove, La. and will graduate from Oak Grove High School this May. He plans to attend Mississippi College in Clinton, Miss. beginning the fall 2012 semester where he has also received a football scholarship. Erving Craft being presented his scholarship at the Annual Tri-State Theatre Association's Banquet by President Bo Wilson. The Tri-State Independent Theatre Association is comprised of theatre owners and industry professionals from primarily Arkansas, Mississippi and Tennessee, but has now grown to include members from all of the Mississippi River Valley States.